The Zoroastrian Trust Funds of Europe in the United Kingdom has been established for over one hundred and fifty five years. 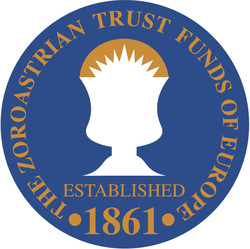 Today, the Zoroastrian Trust Funds of Europe (ZTFE) remains the oldest established religious voluntary organisation in the UK of South Asian origin. Zoroastrians are recognised as one of the nine world faith communities in the UK, although we are the smallest. ZTFE being the premier Zoroastrian organisation represents the interest of the Zoroastrian community with the UK Government, interfaith, religious and educational institutions. It continues to serve the community in Europe both at national and international levels from the secretariat at the magnificent Grade II* listed art-deco Zoroastrian Centre in the London Borough of Harrow.